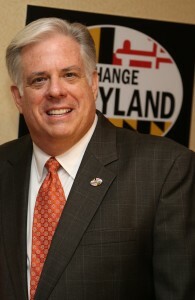 Do Maryland’s gubernatorial candidates in the November election take voters for fools? Do they really think they can con the electorate with promises of vast spending programs (Democrat Anthony Brown) eclipsing $1 billion a year or sweeping tax cuts and givebacks (Republican Larry Hogan Jr.) also topping ten figures? What’s lacking from each nominee is truth in campaigning. The only thing in doubt is which nominee is being more deceptive with voters. At the moment Hogan has the lead, though Brown isn’t far behind. How is he going to pay for this? A few days earlier, Hogan pledged to county officials gathered in Ocean City immediate restoration once in office of $350 million in transportation funding for subdivisions. Which transportation programs will be stripped of $350 million to make that happen? Brown, of course, felt he had to match – or come close to – Hogan’s outrageousness at the Ocean City meeting. So he told county officials he’d also restore the lost Highway User Revenue – but it would occur gradually. Did Brown have a plan for stripping state transportation programs of $350 million to pay for this fund transfer? Or hiking driving fees? Irresponsible might be the kindest way to describe the performance of these two politicians. They keep promising the impossible, as though voters take what they say as gospel. Any citizen who believes promises of massive tax cuts or giant new spending is living in a fool’s paradise. Seniors already receive big tax breaks from Maryland: Their Social Security check is free of state taxation (but not federal tax). They also get an extra $1,000 personal exemption on their state income tax return each year. And if their Social Security amounts to less than $27,800 a year, their other pension income is exempt up to that level. Lots of bills have been proposed by Republicans and Democrats in recent years to expand these retirement exemptions, but none has gotten out of committee. Why? The enormous cost involved. With the state of Maryland facing a minimum of $400 million in revenue shortfalls, how is Hogan going to pull off this prestidigitation? Well, he’ll cut the shreds out of state spending like any good Republican. But wait a minute – isn’t the vast bulk of state expenses mandated by statute? So slashing state taxes by a billion or so isn’t realistic – certainly not for a Republican governor in a state where liberal Democrats have a stranglehold on the Maryland legislature. Nor is Brown’s pledge of a billion dollar’s worth of new program spending any more realistic. The lieutenant governor, for instance, claims he can pay for $108 million in affordable housing appropriations through budget cuts suggested by state employees. Is he serious? A hundred million in savings via the suggestion box? If he’s lucky, these ideas might lead to savings of one-one-hundredth of that amount. An optimist might aim for one-tenth of Brown’s wild-guess of what employee-prompted savings would bring in. It’s all an adventure in fantasy budgeting. If a conservative Republican governor like Bob Ehrlich couldn’t rein in state spending by billions of dollars, how is a more moderate Larry Hogan Jr. going to pull that off in a solidly Democratic state? 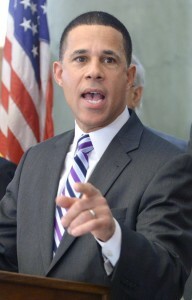 And if a liberal Democratic governor like Martin O’Malley couldn’t find the means to launch massive new spending initiatives – despite raising taxes over 40 times – how is Anthony Brown going to carry out a far more ambitious agenda? Neither candidate is leveling with the Maryland public. The state’s economic recovery remains uneven. State government finances are falling short of projections due to federal spending hold-downs and weak job growth. Both Hogan and Brown are setting up supporters for bitter disappointment. Neither candidate can deliver on unrealistic promises. At best, the November winner will muddle along pretty much the way Ehrlich and O’Malley did in far more difficult economic times. Ehrlich moderated state spending growth during his term in office and left behind a fat surplus, but failed to achieve permanent government downsizing. O’Malley will leave office in January having raised lots of taxes and raided a variety of funding sources to keep social programs intact during the worst recession in 80 years. He failed, though, to dramatically expand state government social services affecting working families. Neither governor proved a miracle worker. Brown and Hogan aren’t political magicians, either. 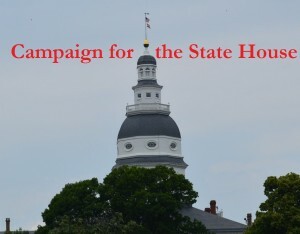 It’s time for them to start speaking the truth to Maryland’s electorate. Barry Rascovar also writes on his blog, www.politicalmaryland.com. He can be reached at brascovar@hotmail.com.